Grand China Materials Wholesaler, Inc. Need Kitchen Cabinets Wholesale Las Vegas We've Got You Covered Call now! Need kitchen cabinets? We have kitchen cabinets wholesale Las Vegas! Grand China Materials Wholesaler, Inc. installs kitchen cabinets and does resurfacing. Or, if you want brand new kitchen cabinets wholesale, we offer solid wood kitchen cabinets and wood veneer cabinets. Our high quality kitchen cabinets are affordable and not cheaply made. Visit our Kitchen Cabinets Wholesale Las Vegas facility today to check out some of our solid wood kitchen cabinets! Our experienced kitchen cabinet installation team will respond to your inquiry quickly and visit you at your home to determine the kitchen cabinets you may need that we can help with. Click here to learn more about us! 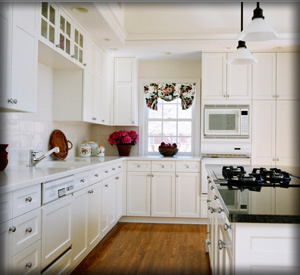 Kitchen Cabinets Wholesale Las Vegas offers many kitchen cabinet services!Have a question now? Just drop us a line! Kitchen Cabinets Wholesale Las Vegas are the experts you need for kitchen cabinets. If you are remodeling your kitchen, our trained kitchen cabinet professionals are here to help. We have custom kitchen cabinets, but cheap in price not in quality. There are many styles and colors for you to choose from. We have solid wood or wood veneer for choices on your kitchen cabinets wholesale. Solid wood kitchen cabinets will be more expensive, but still cheaper than our competitors, guaranteed. Stop by Grand China Materials Wholesaler, Inc. and meet with out professionals to get your project started today! Get your kitchen cabinets wholesale Las Vegas! To get started simply give us a call at 702-749-6698 to schedule a free in-home estimate with one of our professional Kitchen Cabinets Wholesale Las Vegas installers or you can start by requesting a call-back. See what our customers had to say about Kitchen Cabinets Wholesale Las Vegas! Kitchen Cabinets Wholesale Las Vegas will measure your existing kitchen, including all appliances, and get their specifications so our kitchen cabinet designers can consider them in the layout. We will then provide you with a free in-home estimate, with no obligation to buy any kitchen cabinets wholesale. Once you consider all your options, contact our design team and they will set up a time that is good for you, to return to your home and install your kitchen cabinets. Kitchen Cabinets Wholesale Las Vegas is the best choice, the only choice! Set Up a Free in-home estimate by clicking here. Kitchen Cabinets Wholesale Las Vegas covers all your design ideas. We also cover any special features or requirements you may have for the design of your kitchen cabinets wholesale. We specialize in custom kitchen cabinets and guarantee we can get you the kitchen cabinet style you are looking for. Our design team will take into consideration placement of your appliances for the new kitchen cabinets. If you are not looking for new, Kitchen Cabinets Wholesale Las Vegas also does kitchen cabinet refacing. We can make your existing cabinets look brand new. Kitchen Cabinets Wholesale Las Vegas and Grand China Materials Wholesaler, Inc. cover all aspects of design! Grand China Materials Wholesaler, Inc. is a Kitchen Cabinets Wholesale Las Vegas company. We do not contract out our work on your new kitchen cabinets. All of our employees are custom kitchen cabinet design and install experts. We only hire the most professional people to install kitchen cabinets wholesale. Our experience crew does all the installs as well as kitchen cabinet refacing for us. They are professionals who are well trained in all things kitchen cabinets. If you are looking for professional and experience kitchen cabinet wholesale designers, call us today at Kitchen Cabinets Wholesale Las Vegas!